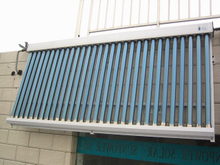 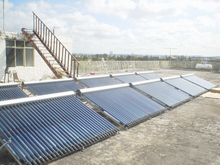 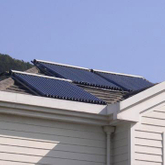 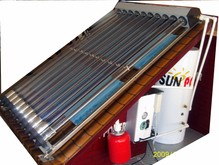 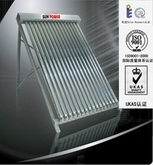 sunpower solar is Solar Water Heater, Solar Hot Water, Solar System manufacturer / supplier in China,can offering solar thermal systems, solar thermal water, solar thermal collector, solar thermal water, residential solar water heating system and so on . 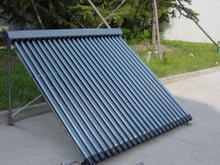 Compact Pressurized Solar Water Heater, Solar Flat Collector, Heat Pipe Solar Collector with Reflector (SPA/B), project Solar Water Heater, Solar Water Heater Tank. 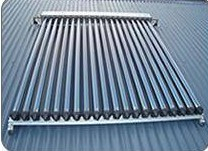 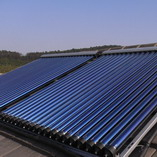 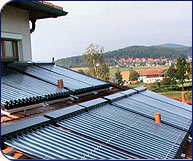 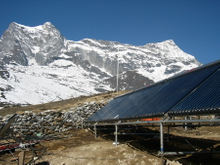 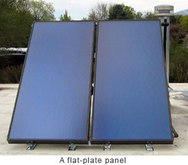 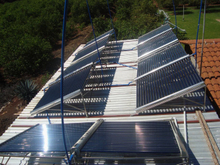 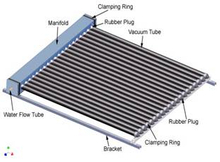 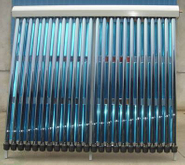 the heat pipe solar collector is always connected with exisiting heating supply device.the selective coating on the inner cover of the vacuum tubes converts solar energy and transfers heat to the heat pipes by aluminum fins.the liquid in the heat pipe changes into vapor which rises to the condenser.the heat then passes through the heat exchanger and the vapor becomes liquid,returning to the base of the heat pipe. 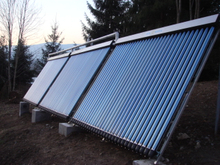 the heat conducts to the heat transfer liquid via a copper pipe.this transference of heat into the liquid creates a continuous circulation as long as the collector is heated by sun.